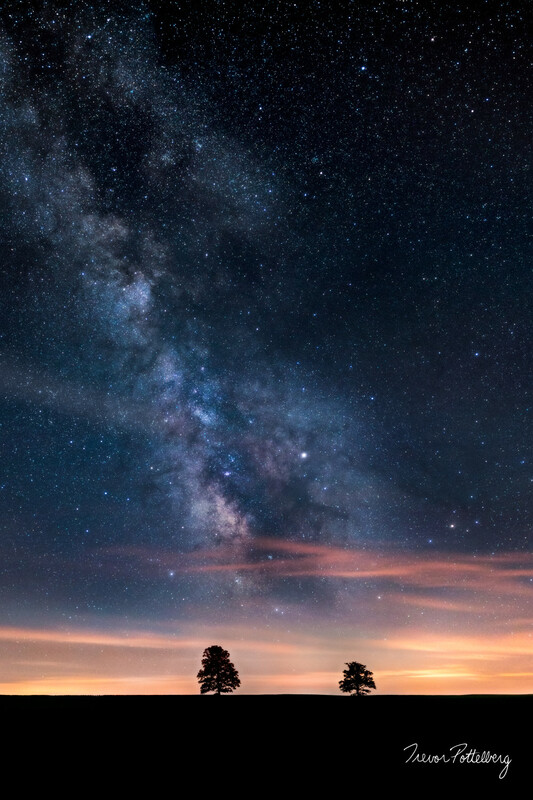 "There's Magic Between Us" - by Trevor Pottelberg, features a pair of lone trees, growing together, enduring a lifetime of ups and downs, while our mystical home Milky Way core plunges between the two with a special kind of magic. Can you relate to this image? Maybe it's you and your significant other, you and your best friend, you and your child, you and your pet, your parents, grandparents, etc.